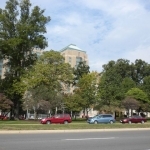 Are You Looking For Professional Tree Trimming in Arlington VA? 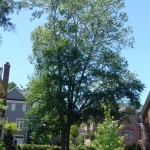 Do You Need Help With Pruning Trees In Northern Virginia? We Are ISA Certified Arborists With 40 Years Of Experience. Homeowner associations and commercial properties periodically need tree pruning and tree pruning for a variety of maintenance reasons. Branches growing into buildings can cause significant damage to both the tree and the structure when heavy winds blow. Trees encroaching on wires, walkways, streets, parking and lighting require periodic pruning to maintain a reasonable level of clearance. Deadwood removal also can a concern. Additionally, tree pruning may be done for the health of the tree itself. Diseased, along with crossing and rubbing branches might be considered for removal. The level of tree pruning performed on a commercial site will often depend upon the size of the organization’s budget and the number of trees involved. Arborists will commonly walk the site with a representative of the property to discuss priorities and options. Recommendations and estimates are then provided for consideration.